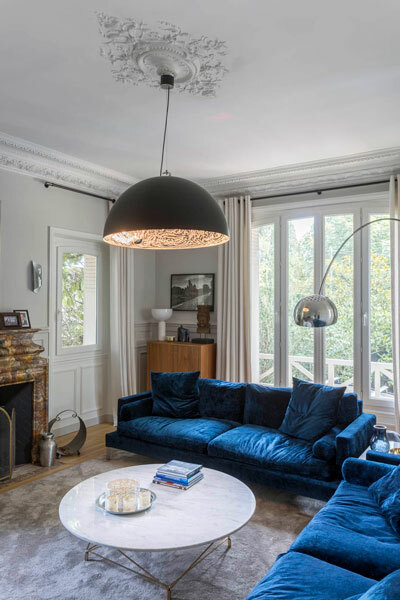 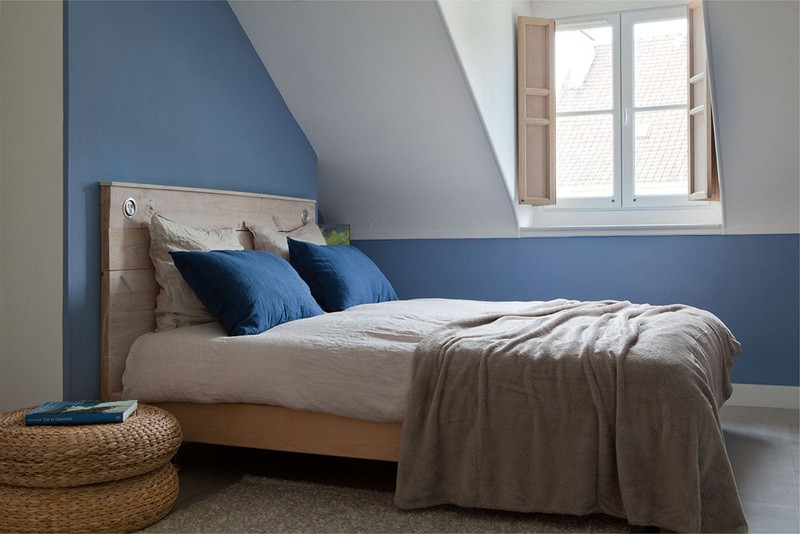 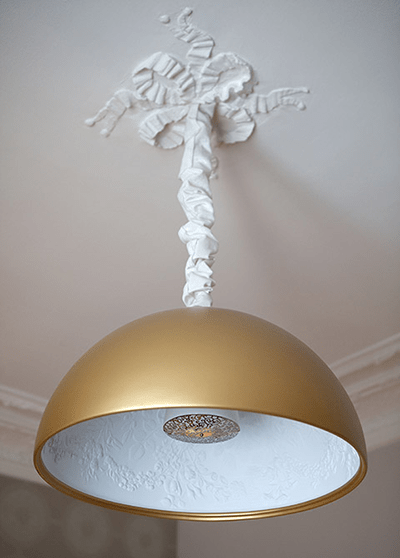 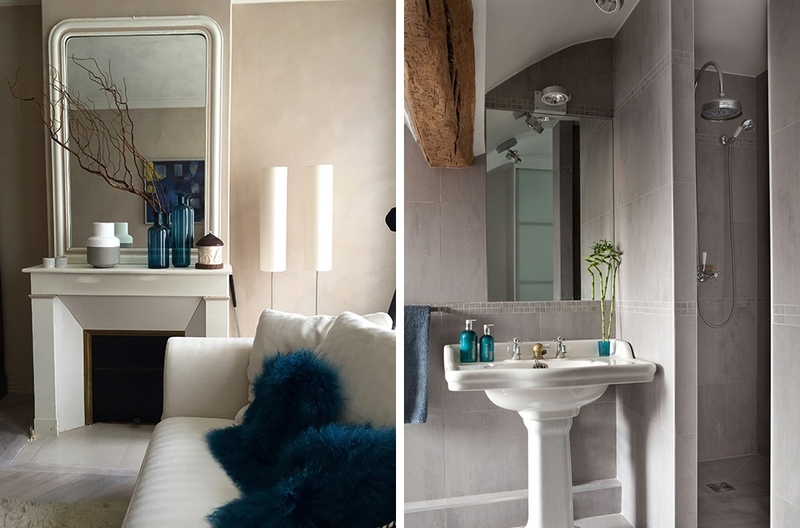 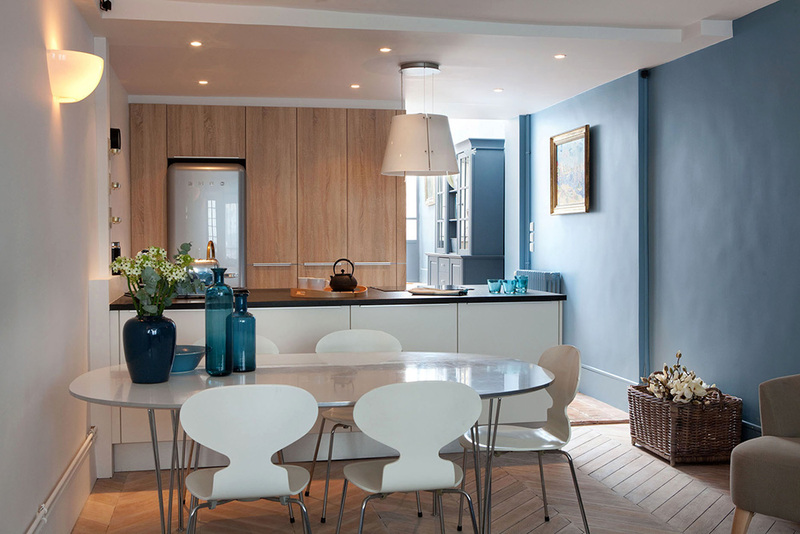 Located in a charming little town outside Paris, we redesigned this four story house in a scandinavian style. 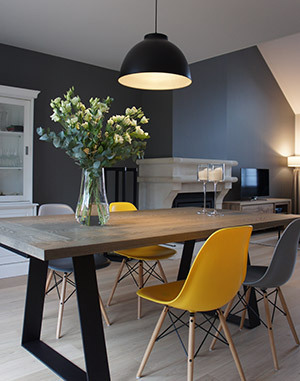 We focused on functional space planning by building several bespoke storage items. 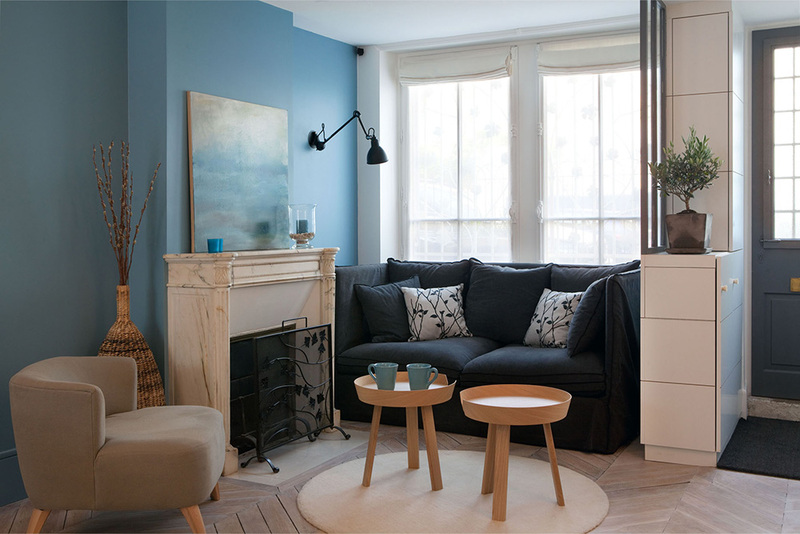 In terms of design, we chose simple and organic materials in nordic blue, white and grey tones, mixing old existing elements from the house with contemporary lines. 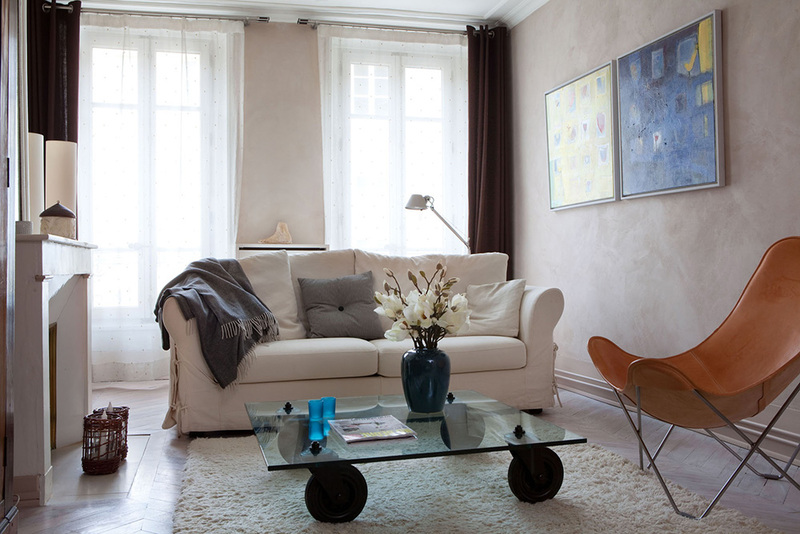 In her new interior, our client feels at home with her nordic “roots”.